Derby County midfielder Will Hughes has returned to full training after seven months out with a knee injury. 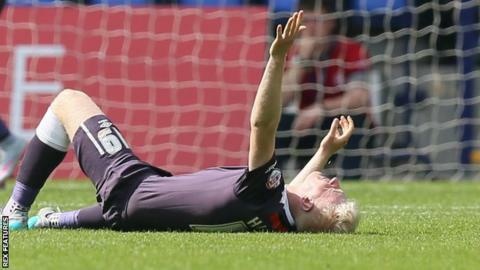 The 20-year-old suffered anterior cruciate ligament in his right knee in the opening game of the Championship season against Bolton in August. Head coach Darren Wassall told BBC Radio Derby: "He had an hour session and came through with flying colours. "He joined in the whole session and he looks in fine fettle. He had a big smile on his face all day." Wassall said taking part in the session was a "big moment" for England Under-21 star Hughes. "He completed everything," Wassall added. "And for a player to end with a small-sided game and contact when you have been out of for six or seven months is a huge relief. "With Will, we have a duty of care as a club to look after him. We certainly can't rush him, but the rehabilitation has been excellent. Hopefully he is through the worst of it now."